Buying a Pre-Owned car is an exciting experience. However, there are many steps you need to take to have a successful buying journey, including looking over the vehicle history report for the Pre-Owned car you’re going to buy. A vehicle’s history report contains a lot of important information, including reported accidents, potential recalls, and more. 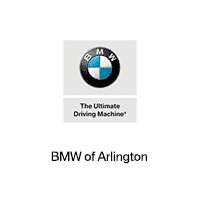 To give drivers in Arlington, Dallas, and Fort Worth a better idea of what to look for in a vehicle history report, we at BMW of Arlington have put together this helpful guide. Read ahead to learn more! First, it’s important to understand how vehicle history reports work. A vehicle history report is a compilation of different types of information about a particular Pre-Owned car that’s searchable via the vehicle’s VIN number. This VIN number, or the vehicle’s unique serial number, can then be searched on several different vehicle history report databases. Public record data—including collisions, repairs, ownership history, recalls, lemon law buybacks, and vehicle title branding—is collected in connection to one specific VIN number. These pieces of data come from a variety of different public sources, including police records, the national mileage register, insurance and finance agencies, and the Driver and Vehicle Licensing Agency. It’s important to check a vehicle’s history report, so you can be completely sure of the quality of the vehicle you’re about to invest in. Many dealerships are happy to provide a vehicle’s history report when you go in to test drive it. Be sure not to leave without looking at one and/or going over it with a knowledgeable sales representative. The first thing you want to look for in a vehicle history report is any collision history. If a vehicle has been totaled, or close to totaled, you’ll want to know about it. Damage from accidents like these can cause long-lasting effects and end up costing you more for unexpected repairs and replacements. The second thing you want to look for is recalls. If any of the vehicle’s parts, or the whole vehicle, are being recalled, you don’t want to invest in the vehicle. Driving a vehicle with recalls on it could seriously compromise your safety. While reading through a vehicle history report, you should also be sure to look at the known odometer history. Though it’s rare, odometer fraud can occur. Avoid getting caught up in a situation involving odometer fraud by vetting the vehicle’s current mileage reading with what you can find in the vehicle history report. Still Have Vehicle History Report Questions? We at BMW of Arlington hope this guide about what to look for in a vehicle history report gave you all the information you were looking for. If drivers in Arlington, Dallas, and Fort Worth still have questions about vehicle history reports, we’re here to help. Give us a call at the dealership today and one of our experienced and friendly sales staff will be able to help!